Advertising is essential for promoting your brand, and choosing good promotional materials is important for getting the best results. A memorable company logo, a catchy slogan or even just a set of recognizable corporate colours can help to build brand recognition. Many companies distribute customized items to employees, clients, and prospective customers. These products may include pens, notepads, balloons, privately labelled snacks or water bottles, cell phone cases, buttons or even clothing items. The text or images on the branded items create a permanent mark in the minds of recipients. They also serve as free advertising when someone happens to see them outside of the event or workplace setting. Premium bean bag furniture from BeanBagsRUs is a highly visible, luxurious and effective option for getting your name in the spotlight at virtually any type of corporate event. The most comfortable seats in the room are unlikely to be overlooked. In fact, guests may be competing for them. We can customize our bean bag loungers and chairs with your choice of logo, slogan or colour combination. When prospective supporters experience their style and comfort and associate it with your name or logo, the outcome can only be positive. For maximum impact, your message or image should accurately represent your company or product in a positive, memorable way. If you haven’t developed a logo, an inspirational message or a powerful statement relevant to your product or service can be extremely effective. A company or individual’s name is adequate if your brand is already established in the area. Before submitting your order, be sure that it meets any size or length requirements. The message or image should fit on the chair without being too long or short. Place several chairs around low tables to encourage attendees to take a break, relax and talk to each other. This can improve relations with the target audience and create a pleasant, comfortable atmosphere. Offer a branded bean bag as a prize in a contest or raffle. This can improve your turnout. If your budget allows, order bean bags in a variety of colours and styles to increase interest. If you are distributing or displaying your corporate bean bags, it may be more practical to leave most of them unfilled, so they are more easily transported or stored. Be sure to display one filled, so everyone can see the quality of the product in use. 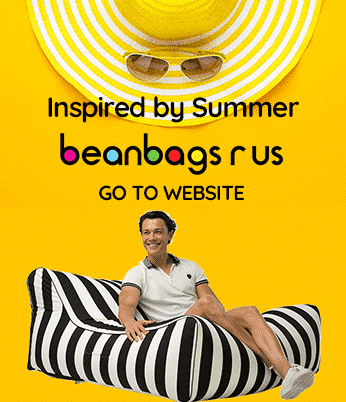 At BeanBagsRUs, we are proud to produce the best quality bean bags on the market. Our brand can help you promote yours. Here are just a few of the benefits you’ll enjoy when you order from our wide selection of bean bag chairs, loungers, pool floats and other premium designs. When you use color and style to lure prospective patrons, customers, and clients, the results can be astounding. 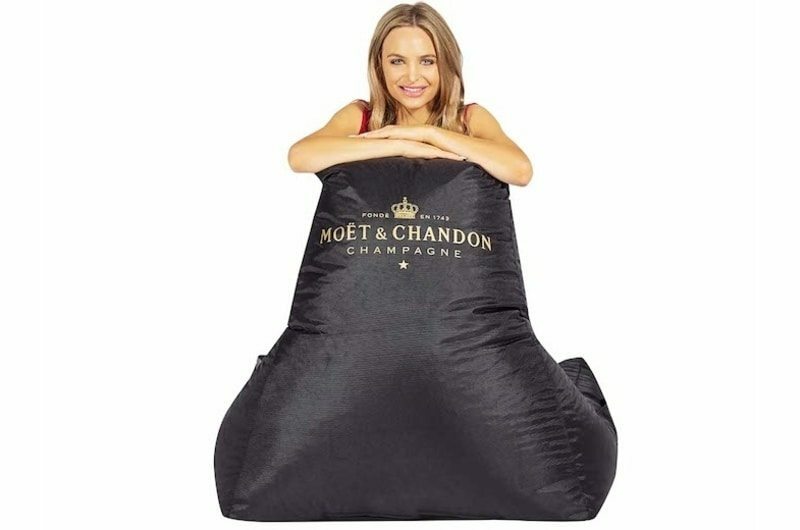 Our personalized bean bags are perfect for corporate promotions, new product launches, retreats, seminars, cookouts, kiosks, job fairs, raffles, auctions or any event where you want your brand to make a memorable impression. You can use screen printing or heat transfer full-colour printing process to customize your bean bag. Custom product pricing starts at just $25 and depends on the size of the image or logo, the number of requested colours and the quantity of bean bags required. Contact us today to learn more, and let us work with you on creating the best promotional material you’ll ever buy for your company or brand.